What Causes Alopecia And Hair Loss? Alopecia, or hair loss, is a multifaceted and complex issue that encompasses many different conditions of varying severity. Some types of hair loss are permanent and can cause scarring, while others are temporary or may wax and wane. Hair loss can be a result of emotional stress, physical stress, autoimmune disease, medications, infections, inflammatory diseases, hormones, certain types of hairstyling, and other causes. The most common cause of hair loss is hereditary alopecia, also known as androgenetic alopecia, affecting an estimated 80 million men and women. Other types of non-scarring hair loss include alopecia areata, telogen effluvium, and trichotillomania, among others. Scarring, or cicatricial alopecia can include discoid lupus, lichen planopilaris, central centrifugal cicatricial alopecia, folliculitis decalvans, and others. 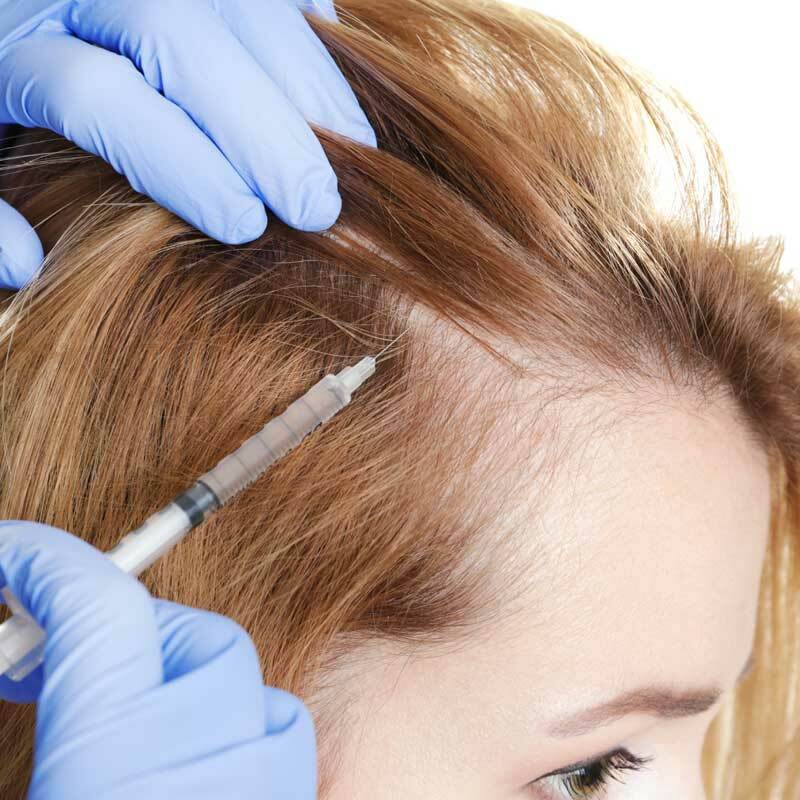 Clinical examination of the scalp and hair, and oftentimes a skin biopsy are necessary to arrive at an accurate diagnosis. Given the many different tpes and causes of alopecia, there are a multitude of different treatments for hair loss. Treatments can include local and systemic steroids, minoxidil, immune modulators, hormonal treatments, antimicrobials and more. Dr. Ortleb has extensive training in the evaluation and treatment of hair loss and hair conditions. Call to schedule an appointment with Dr. Ortleb at 402-509-4812 to discuss your hair loss today!